Michael Higgins is Managing Director and Head of Real Estate Finance at CIBC World Markets. CIBC is a leading financial institution and one of the largest in North America, with total assets exceeding $200 billion and offices around the world. Higgins is one of the most active and respected real estate finance executives in the U.S. He has experience in all aspects of the real estate industry and has been involved in the financing and advisory of over $50 billion of commercial real estate transactions. 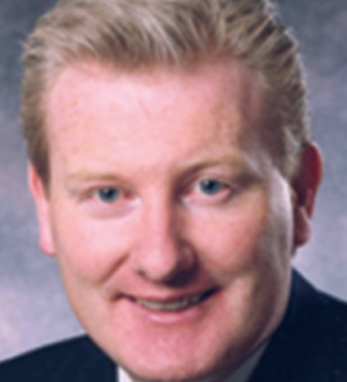 A native of County Mayo, Higgins earned a Bachelor of Commerce degree from National University of Ireland, Galway, where he serves on the foundation board. He also holds a Master of Science degree in Real Estate Finance from New York University. Higgins, who is married and has four children, is a member of The American Ireland Fund. An avid golfer, he served as chairman of the AIF’s golf outing at Baltusrol, New Jersey in 2004, helping to raise $100,000 for Irish charity.